You're probably aware of dog and cat meat trading in some Asian countries and animal welfare advocates' endeavors, but if you're a taxpayer in the United States, you may not realize you might have helped fund this commerce. According to a new report from the White Coastal Waste Project (WCW) and the former US Minister of Agriculture (USDA) veterinarian and researcher Dr. Jim Keen bought the USDA dead cats from these markets – and then fed their brains, hearts and tongues to live healthy kittens in a Maryland laboratory from 2003 to 2015. That's not all: USDA also bought dead dogs from animal homes in Brazil and fed their same body parts to the kittens. 1; which is Justin Goodman, WCW's Vice President of Law and Public Policy, called it appropriate – was to study the parasite that causes the disease toxoplasmosis in humans. According to the Centers for Disease Control and Prevention, the parasite is an important cause of death for the food-borne disease in the United States. People can also get infected with it after turning off cats. People with healthy immune systems rarely experience symptoms of the disease, so the USDA study does not make sense. Of course, human bodies are not the same as in cats, and most people (hopefully) are not infected with toxoplasmosis after eating dog and cat body parts. In addition, it is not necessary to infect and kill kittens, as researchers can work on samples that they have already collected. Goodman said this "useless" experiment "highlights the disturbing lack of accountability and transparency" on the USDA. Although the investigation was reportedly completed five years ago, due to the lack of transparency, Goodman said it could still happen. Keen, who left the USDA in 2015 after postponing his domestic mistreatment and now volunteering with WCW, discovered this study as he looked through research papers published by USDA and its affiliates. "We just thought we would find routine trials," he told the Washington Post. "We never knew the other things were happening." He told NBC News he couldn't see the logic. Along with "kittens cannibalism", US taxpayers funded other cruel tests carried out on cats at the USDA's Agricultural Research Service's Animal Parasitic Disease Laboratory in Beltsville, MD. According to NBC News, the laboratory uses cats because they are the only host animal that can produce parasitic eggs. At least 3,000 cats suffered and died in these laboratory experiments that began in 1982. Scientists breed kittens in the laboratory and force them to eat raw meat contaminated with the parasite T. Gondii . After the researchers have harvested the parasitic eggs from the kittens' faeces for use in other experiments, they extinct the kittens and burn their bodies instead of treating them and adopting them. To stop these tests, Sens. Jeff Merkley (D-Ore.) And Jimmy Panetta (D-Calif.) Reintroduced KITTEN (Kittens in the Traumatic Testing Ends Now) Act to Congress. "The USDA's decision to slaughter kittens after they are used in research is an archaic practice and horrible treatment, and we must end it," Merkley said in a press release. The 2018 Farm Bill, which Congress last year, included the law banning meat and meat bans prohibited slaughter, trade and import / export of dogs and cats for human consumption in the United States. The USDA's support for foreign trade should hopefully make the KITTEN Law's passage a non-brainer. Please attend over 270,000 people who have signed this petition telling the USDA to stop killing kittens. 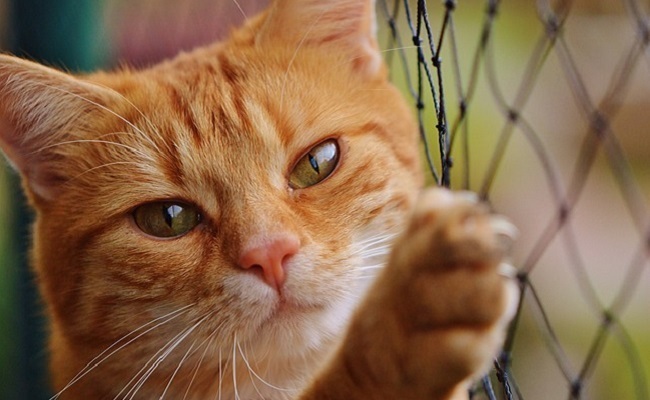 Write this petition to urge Congress to pass the KITTEN law to end this cruel practice once and for all. Making a Care2 request is easy. If you have a problem you are deeply concerned about, why not start your own prayer? Here are some guidelines to help you get started, and soon the Care2 community will be enrolled to support you.